The FVFF Program relies heavily on donations from the Viking Football community. Donations help pay for a variety of items that are needed to make the season as special as possible for our players, families and friends, including everything from uniforms and equipment, pregame team meals, gameday publications, website hosting fees, field renovation donations, etc. The list goes on. Previous seasons have seen average family donations in the $150 to $250 range, but ANY amount is thoroughly appreciated and will directly benefit your player's experience. Please consider making a donation by clicking on the link below. Please follow the link at the top of the page to visit the 2018 FVFF Banquet Page. Event details are provided as well as a link to purchase tickets. The Football Banquet, which will be held on November 17, is open to Coaches, Players and their Parents. Please join us this coming Saturday, October 27 for the Viking’s final home football game of the season against the Barons of BCC. We will celebrate our Senior Football Players and Senior Poms before the game starting at 1:20PM. Please arrive early to stake your space in the stands in time to recognize our Seniors ahead of the game. Kickoff follows at 2:00PM. SENIOR PARENTS: Senior Day schedule of events. 12:45: Parents and families meet in the end zone and line up alphabetically (football first then Poms). 1:00: Senior Players/Poms join families in the end zone line. 1:00-1:20: Time for photos, etc. 1:50: Teams enter field for pre-game prep. PDF files of the Varsity and JV rosters are now available in both numerical and alphabetical order. Unlike the webpages that sometimes display differently on various browsers and do not work well on smartphones, the PDFs can be viewed on smartphones or printed out and brought to the game to help identify players. Click on "2018 rosters" at the top of this page to check out the rosters. Due to extreme weather related impacts to the construction schedule for our new turf field this summer and fall, MCPS has been forced to move the Whitman Homecoming games against Wootton to.... our opponent's home field. JV (9AM) and Varsity (12:00 noon) will "host" the Wootton Patriots at Wootton on Saturday 9/29. How's the saying go? "Su casa es mi casa." Wait. Something sounds off. Anyway... Come out to Wootton this Saturday to cheer the Vikes on to a Homecoming/Roadgoing sweep. On a related note, through yesterday, the DC area has logged more precipitation (49.09 inches) in 2018 than traditional/legendary American rain-magnets Portland, Oregon (15.91 inches) and Seattle, Washington (20.39 inches). Doing a little math, We have 35% more 2018 precipitation than Portland and Seattle COMBINED (36.30 inches). Almost as impressive: Since the turf replacement groundbreaking ceremony on May 19, 2018, we have logged 32.32 inches of rain. In a normal year, we would expect 15.19 inches between May 19 and September 26. This weather excuse appears to be legit. The "Photos" link at the top of this page will take you to te photo landing page. Click on the blue "2018" button to see this seasons games. Prior year photos can be seen further below on the right side. Thanks to Christian Bartholomew (Varsity), Karen Kreutzberg (JV) and Melanie Caudron (JV) for sharing their shots thus far. The Roster link above ("2018 Rosters") will take you to a roster launch page. You can select the Varsity or JV rosters in either alphabetic or jersey order. 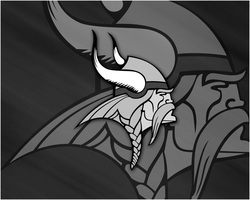 IF YOU SEE AN ERROR, please let me know by sending an email at vikingswebmaster@fightingvikings.com. Each player's name is a link to their individual picture (if they were at picture day). Since picture day, some players have changed jerseys so the jersey they are wearing in their picture does not match the current jersey number in a couple cases. The venue for Varsity game #2 (and the JV opener) vs Einstein on September 7 has also been shifted from Whitman to Wootton. Start times remain unchanged at 3:30 for JV and 7:00 for Varsity. 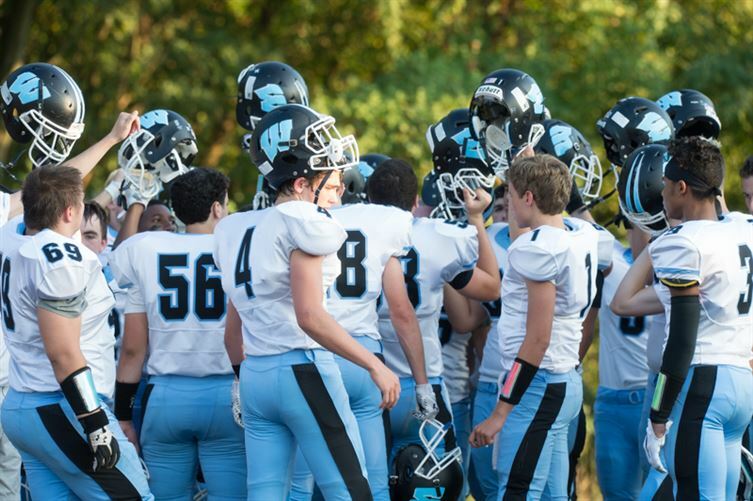 If all goes as currently expected, the Vikes will make their home debut vs Wootton (JV on 9/27, Varsity on 9/28), which is appropriately the Whitman Homecoming weekend. If all good things are worth waiting for, this can only mean that the new field will be fantastic! Due to a slip in in the completion date for the installation of our new turf field at Whitman, a decision has been made to shift the venue for the Vikes' season opener vs Landon on Friday 8/31/2018. The Vikes will now kick-off their 2018 season at Thomas W. Wootton HS (2100 Wootton Pkwy, Rockville, MD). The 6:30 start time remains unchanged. Keep your eye out for emails with day to day changes to to weather and game schedules, but generally, now that school has started, practice will be 3:30 - 6:00 for Varsity and 3:30 - 5:45 for JV. ​​The Fighting Vikes need YOU... as a Gameday Volunteer! 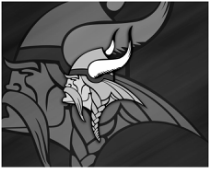 Please click HERE or on the gameday volunteers link at the top of this page to visit the volunteer assignment page of the Fighting Vikes' new teamsnap site. Once logged in, the assignment page will load, giving you the opportunity to volunteer for any of the MANY slots that are needed for JV and varsity games... or check back later to remind yourself what you committed to. Q: I'd love to do my bit, but I don't want to miss any of my son's game? A: No problem. JV parents usually sign up for Varsity concessions and Varsity parents do the same for JV games. Problem solved. Maybe your son sees your example of hard work for the greater good as he stands proudly in line, beaming with pride. Maybe that experience spawns a work ethic that helps him land a big job someday. That kind of return on investment makes this no brainer when you think about it. Q: I'm above this stuff. Can you tell me who to talk to about a celebrity style sideline game viewing experience? A: You're in luck! Claim one of our highly exclusive (four per game!) chain gang slots. Closer to the action than the players on the sideline, you'll experience sights and sounds that simply can't be imagined by the "general admission" spectators who lack your elite status! They are nice people sure.. but let's face it. YOU are not defined by "general admission". Front row? Please! YOU deserve better than front row! Claim your reward... you deserve it! Q: I've always had a secret desire for my work to be be the object of attention from all who can see it. Can you help? A: Two words. "Scoreboard operator". Q: I want to go beyond cheering and actually facilitate on-field success. How can I do that? A: One word. "Videographer". Some more words: Press box. "Authorized Personnel Only" means you. Because you ARE one of the special "authorized personnel". Not many people get that status. How sweet is that? C'mon. You've been craving that since you were a kid. Just walk right through that door and no one even threatens to call the police. Again... How sweet is that? Q: Don't tell anyone, but I want the main reason people visit THIS website to be about me. Suggestions? A: As much as YOU may love scanning the roster to see if that stupid webmaster has gotten around to correcting the spelling of your kid's name... As much as you might enjoy checking to see if there are any more lame attempts to cleverly convince people to donate their critically needed time and money... I have a sneaky suspicion that the game action photos that are posted here draw even more web traffic. I'll give you credit... or if you want anonymity, I'll give you that. Your call. Either way, we desperately need photographers. You also get to wander around the sideline or back of the endzone getting the perfect angle AND have the perfect excuse for why you haven't been showing off your crazy-mad change-making, popcorn-popping, hot-dog-wrapping concessions skills. ​Bottom line: Somehow, some way, Uncle Ragnar needs you as a Viking Volunteer.